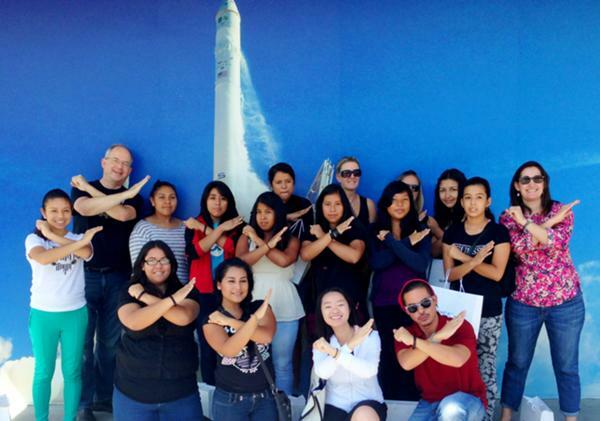 SpaceX recently hosted an exciting tour for young women interested in STEM, all from the i.am College Track program in Boyle Heights! The lucky students got an exclusive tour of SpaceX headquarters in Hawthorne, California, where the revolutionary aerospace agency designs and builds all their rockets and space transportation vehicles. SpaceX was founded in 2002 by former PayPal entrepreneur Elon Musk, who is also the founder of Tesla Motors. In May 2012, SpaceX made history as the world’s first privately held company to send a cargo payload, carried on their Dragon spacecraft, to the International Space Station. On the tour, our students were guided by one of SpaceX’s manufacturing engineers, Erin Gatling, who talked about how she got into STEM as a young girl working on cars with her father, and how she eventually built her career starting with internships in college. She also talked about her exciting role at SpaceX, where she works on such revolutionary launch vehicles like the Falcon 1 and Falcon 9, designed to be reusable, which is a major innovation for rockets. This visit was co-organized by the National Academy of Sciences, the CAA Foundation, and the i.am.angel Foundation in our joint efforts to get more women and girls interested in STEM fields. Our young ladies were truly awestruck by the experience, seeing rockets several stories tall being built on site (the adult chaperones were geeking out too!) 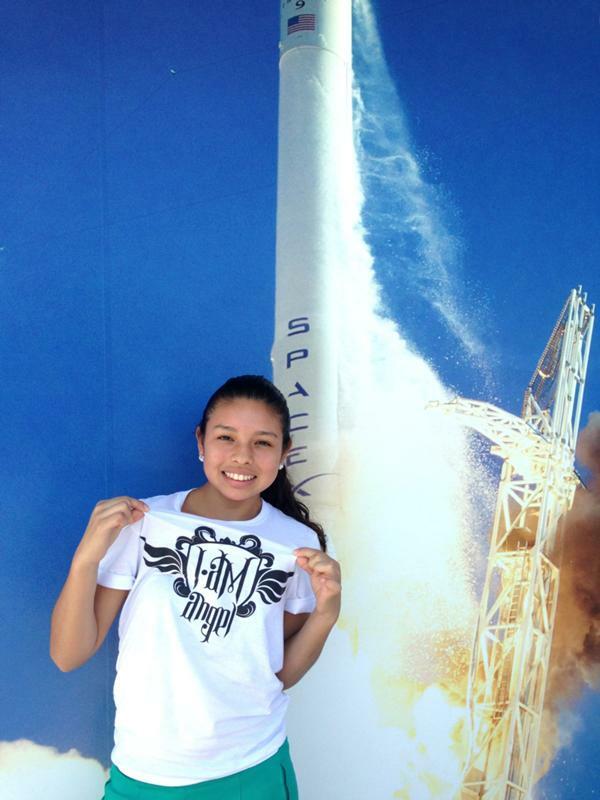 They were no doubt inspired to #REACHfortheSTARS and pursue their own interests in STEM.